We have created an area for the smallest of our guests – with a fresh water wading pool, baby basin, water hedgehog, and its very own slide! 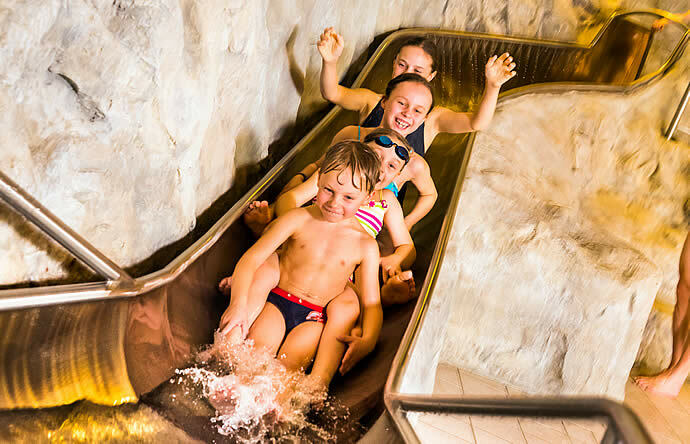 Children can splash here as much as their heart desires while parents keep an eye on them. The integrated washroom with changing table completes the children and parent-friendly service.